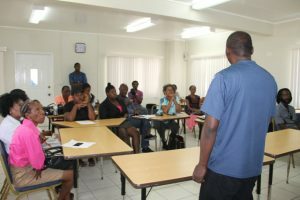 CHARLESTOWN, Nevis – Fifteen participants are expected to benefit from ongoing efforts of the Small Enterprise Development Unit in the Ministry of Finance at the end of a workshop on the production of essential oils from May 9-23 at the Credit Union Conference Room. 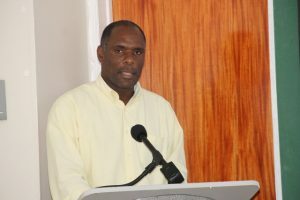 At the opening ceremony, Permanent Secretary in the Ministry of Finance Colin Dore expressed hope that the participants would use the opportunity to create products that could be sold at local and international markets. Dore explained that the main objective of the workshop is to create viable business entities. The forum also forms part of the ministry’s plan for 2018 involving the agriculture sector in the small business sector. 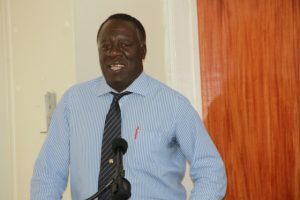 “This workshop forms part of a larger programme…the Ministry of Finance and SEDU have adopted the policy that the agricultural sector will be the sector of focus for 2018 as we seek to develop new business entities in the sector, not just farming, but value-added products that can be created from agricultural products,” he said. The workshop is facilitated by Timothy Prescott, a certified natural product formulator and a practicing herbal researcher from Barbados. 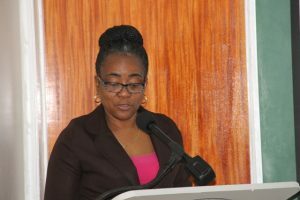 Catherine Forbes, development officer at SEDU, stated that the Ministry of Finance values the input of small businesses and assured of its continued committed to the development and enhancement of the small business sector on Nevis. At the end of the workshop, participants will display their products in an exhibition. He highlighted the development of linkages that could be forged between essential oils and other industries such as cosmetics and pharmaceutical companies. 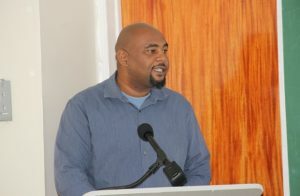 Sargeant encouraged the participants to think globally about their subsequent products, bearing in mind that one ounce of lemongrass oil retails for approximately USD$25.